jeff t. johnson read from a new chapbook, The Record Room. 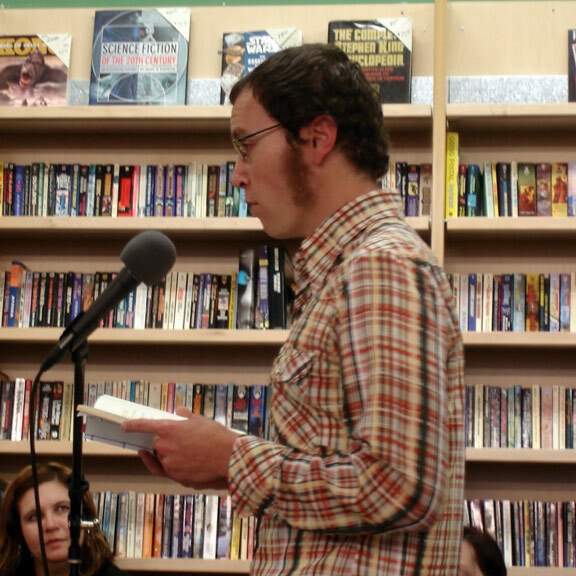 jeff t. johnson’s writing has appeared in Fabula, Kitchen Sink, Matte, The Encyclopedia Project, Pitchfork, and the SF Weekly, and his poetry was featured on KPFA’s The Writers’ Block. He was a senior editor and founding member of Kitchen Sink. He is the author of several poetry chapbooks, including Not Yet Winter, Yellow Lights, Little Window and theRoof for Miles, and The Record Room. Email him at jeff@theaudiogroup.org. this is a really good recording. thanks so much!